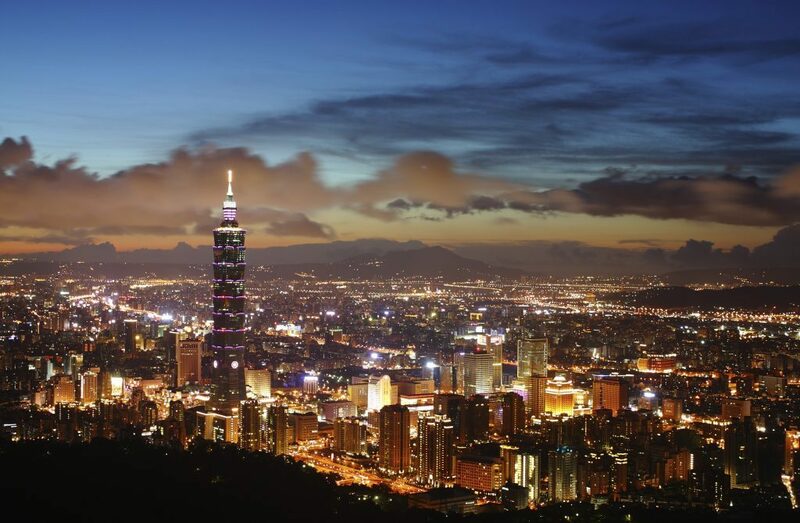 Welcome to Taiwan – a country with stunning scenery, exotic cultures and hospitable people. This mountainous island is situated off the coast of mainland China with some picture-perfect, breathtaking vistas and natural attractions. It has majestic peaks, rolling hills and plains, basins and inlets, tropical beaches and green forests. 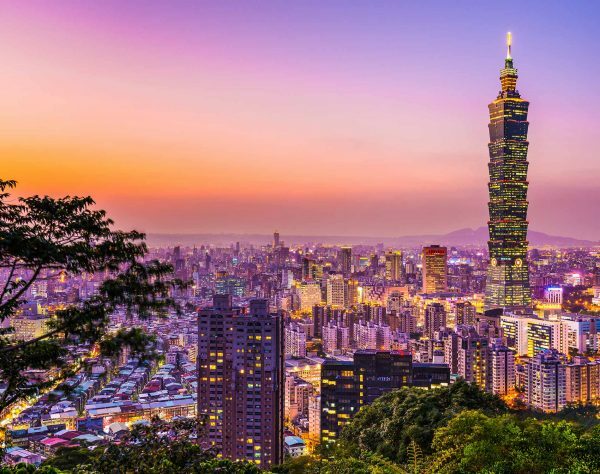 Like with most other major countries in Asia, Taipei, the capital, is a well established cosmopolitan city with modern, high-rise buildings, an array of shopping malls, restaurants and a frenetic 24-hour pace of life. Amongst this modern way of life, you’ll still find though ancient temples and a strong culture. 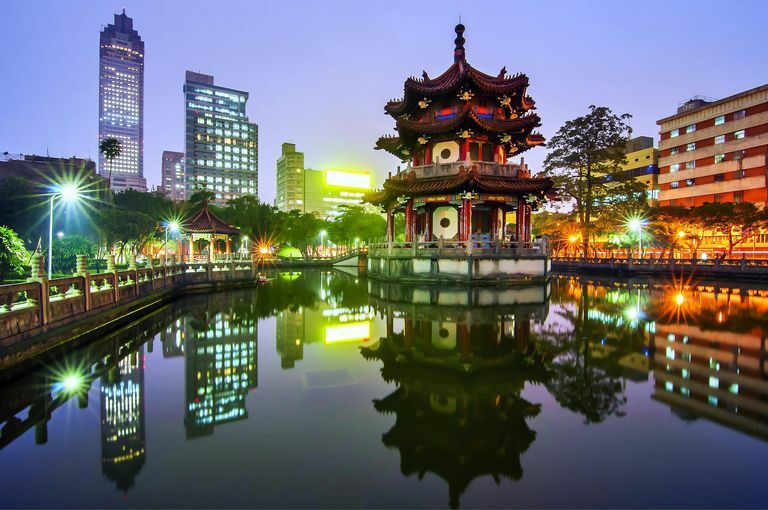 Old and new live in harmony in Taiwan, and visitors will be fascinated as much by the busy metropolis of Taipei as with the array of natural attractions throughout this relatively small island. Visitors will find plenty to do and see in Taipei but to get a real feel of Taiwan you need to head out of the city. Taiwan is blessed with a diverse range of exquisite beauties, each corner of the island having its own unique scenery filled with local stories and strong traditions. The towering heights of majestic Mt. Jade and the connected peaks stretching north and south separate Taiwan into east and west while enriching the island’s geologic landscapes. The soaring sacred trees of Alishan, the sea of cherry blossoms at Wuling Farm, and the terraced tea plantations of Sun Moon Lake and Yuchi Township are well worth visitng. In eastern Taiwan the main modes of travel for tourists are railway and bicycle. Take a train and enjoy the vast expanse of the Pacific . In high summer the train travels among glossy green paddies; at the time of the autumn harvest, the landscape is transformed into a vast sea of golden rice. Each season and each landscape has its own enchanting scenery and heart-stopping allure. Eastern Taiwan will please those who love nature. The tranquil rural landscapes of Yilan, the awesome Taroko Gorge in Hualien and Luye highlands are some of the wonderful places to visit. Taiwan’s offshore islands offer a further multiple of charms. Kinmen, Matsu, Green Island, Orchid Island, and the Penghu archipelago are indescribably beautiful, and each island has its own unique allure. The mysterious battleground history of Kinmen and Matsu, the traditional South Seas culture of Orchid Island and Green Island, and the rich ecological and fishing-village atmosphere of the Penghu islands are all world-class attractions. Taiwan is sub-tropical but the climate varies from hot and humid in the south to cooler in the north and inland mountainous region. All over the country sudden rain showers frequently occur, making rainwear an essential part of a visitor’s luggage. The driest time of year is autumn (September and October), which is followed by a short generally damp and chilly winter with snow on the island’s mountain peaks. Summer temperatures can reach 90ºF (35ºC) at the coast. Summer is also typhoon season. Visitors can also discover stunning scenic views on the beautiful coasts of Taiwan. 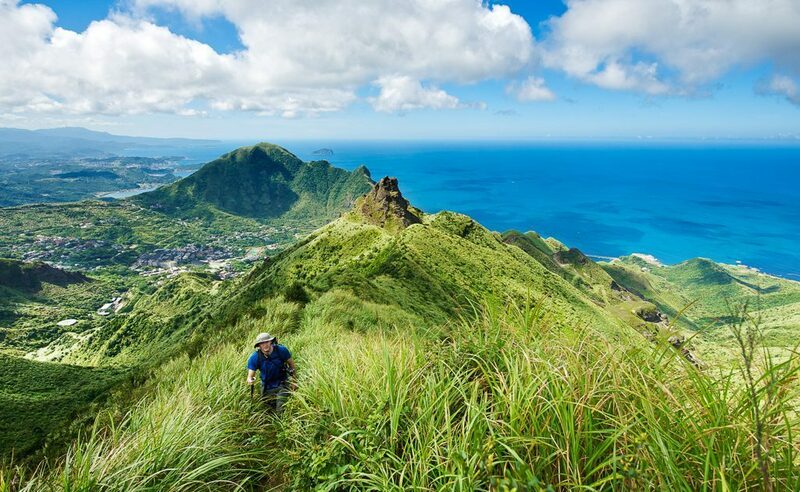 The Northeast and Yilan Coast National Scenic Area and North Coast and Guanyinshan National Scenic Area stretch between green mountains and the deep blue sea. The mountainous Maolin National Scenic Area welcomes all into a world of aboriginal culture, butterflies, the stone houses of the Rukai and nature’s scenic beauty. Visit the largest Buddhist monastery in Southeast Asia – Fo Guang Shan. The complex consists of several large shrine halls surrounded by colonnades, pavilions and pagodas, bridges and footpaths, ponds and grottoes, and libraries and meditation halls. This monastery houses the largest Buddha image on the island at 32 metres high which is surrounded by almost 500 life-sized images of disciples. One of the main national parks and in fact the largest natural park in Taiwan, is Sun Moon Lake which is surrounded by green mountains. The Eastern part of the lake is round like the sun, while the Western part is shaped like a crescent moon. In the middle of the lake (between the “sun” and the “moon”) is an island which has long been a sacred place for the Shao people. This island (Lalu) is off-limits to visitors; only the Shao people can go there to worship their ancestors. This is a place once visited you will never forget.